The contest is open internationally, so hurry on up over to Kiersten's blog and enter. Sometimes real life can get in the way, which is the case for me, and for that I apologize. But here are a couple of news to get us up to date with what is going on. As for the Paranormalcy movie, things are happening. Mitch Klebanoff has finished the first draft of the screenplay, make sure to follow him on twitter. V: You are making you feature film directorial debut with Paramornalcy. How is that going so far? RK: It’s a very exciting project, and will hopefully be my way into the feature world. I have an amazing team for Paranormalcy. There’s a lot of buzz about the project in Hollywood, and I’m glad the industry is as excited as me about this. And then Kiersten White gave her readers insight into the changes that happens from first draft to final version by showing the changes made to the first chapter of Paranormalcy. It is very interesting reading, which you can find right here. But you already knew that because you already follow Kiersten's blog, don't you. As for Endlessly, you can pre-order your copy right here. It is beautiful, don't you agree? Kiersten White just posted the front cover of the third, and final, book in the Paranormalcy trilogy: Endlessly. It is my favorite of the three, not only because it's purple, which happens to be my favorite color, but also because it's so ... but it's calm, serene ... otherwordly. Let's just say that I love it and I can't wait to read it. Amazon states July 24th (2012) as the release date. It's going to be a good summer, don't you think? This means that we will have plenty to read for several years to come. I for one can't wait to find out what they're about! The only thing bugging me is how 2013 is so far away. Sometimes my offline life doesn't want to agree with my online life. That is what happened, and that is why Paranormalcy.net became neglected. So I am now trying to catch up with everything, and I am sorry if there are things I've missed, but basically this is what has happened since the last time I wrote an update. Of course. It seems almost silly to say, since everyone should have got their copy by now. But it's a huge event which I am really sorry for not giving more attention here at Paranormalcy.net. Please let me know what you think of Supernaturally in the comments. And it's a New York Times Bestseller! Again: of course. I mean, who didn't see that one coming? It's an awesome book. Ray Kay will be directing Paranormalcy. That is right, they have found a director. Ray Kay is, among other things, a music video director, and I am sure you have seen a lot of his work as he has done music videos for Britney Spears, Lady Gaga, Justin Bieber, James Blunt... well, you get it, I can go on forever listing huge names. Make sure to follow Ray Kay on twitter and/or facebook. HarperTeen is sending Kiersten White on tour. 1. As an active writer/published author/mom of little ones, how much time do you devote to writing each day (on average)? how much time to edits/revisions? 2. How has writing affected how much you read? 3. Have you tried out your pink taser yet on anyone? :) Has anyone volunteered? 5. How long did it take you to write your first book? 6. Where did your inspiration for Reth come from? Somebody you met in real life, or a book character? (Or a mix of both?) If a real person, CAN YOU INTRODUCE HIM TO ME PLEASE? If a book character, was he a Jane Austen character? 8. Did you have any say in your covers, because they are beautiful! 9. Any advice on getting an agent/getting published? 10. LIGHTNING ROUND - in which Kiersten answers a lot of questions. And last but not least in this Trying to catch up post. 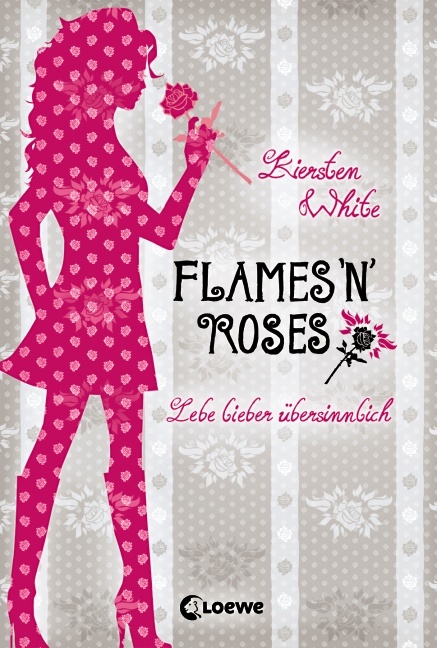 I have not yet shown you the German cover for Paranormalcy. What do you think? As for the news revealed today, they will be posted seperatelly. If you feel like there is something I have missed, please let me know by sending me a mail. I was just about to go to bed when I saw that Harperteen has posted a book trailer for Supernaturally on Youtube. So... enjoy! Have you preordered your copy of Supernaturally yet? What do you think of the final title? I love it. 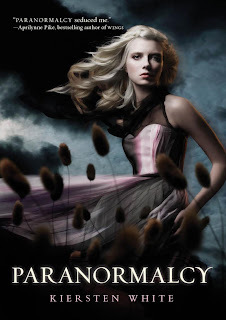 Paranormalcy.net is a fansite and is in no way affiliated with Kiersten White, HarperTeen, HarperCollins, Adler Pitures, Reverie Entertainment or any other official site or company related to Paranormalcy. We just love the books and their author. All images, media and other content is copywritted to their respective owners. No infrigment intended.